You have got to love a vehicle that can do it all. The Chevy Equinox has been a fan favorite since it was first revealed in 2004. Now the 2019 Chevy Equinox is ready to impress once again with its limitless potential as a Chevy SUV. Getting behind the wheel of a 2019 Chevy Equinox feels like you won the lottery, graduated with honors from an ivy league college, and won an Olympic gold medal all within the same day. This is because the Chevy Equinox’s value is so great! Starting at just under $24,000 you will feel like a million bucks, the systems are so intelligent you will feel like a genius yourself, and the power is so proficient and precise that you will feel like you can leap over mountains. Basically, the 2019 Equinox will make you feel like a better person inside and out, just by owning and driving it. All exaggerations aside, the 2019 Chevy Equinox truly is an SUV that has a lot to offer in all the categories drivers care about. The safety options are advanced, the value is fair, the infotainment is easy to navigate, the design is elegant, the power is just athletic enough to impress, and it fits into your everyday life like a glove fits a hand. 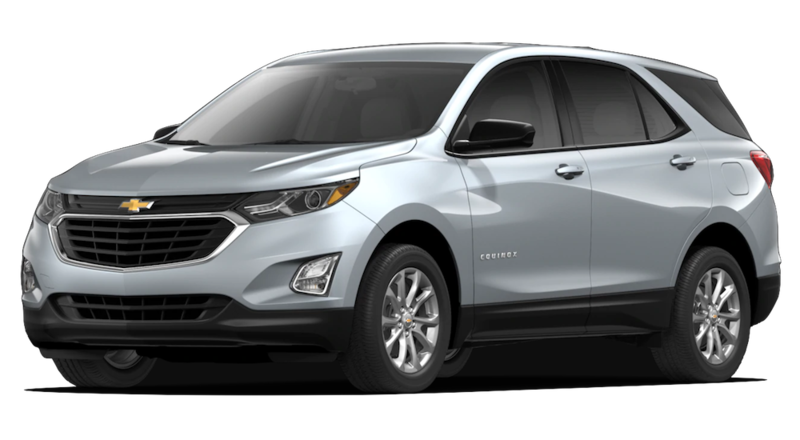 There are two main technology categories that you must take note of when you are looking into buying the 2019 Chevy Equinox. The first is safety, which is never up for negotiation, and the second is connectivity, which is necessary for our fast-paced modern society. Modern safety technology is not as much about protecting you from the accident itself and more about making sure the accident never happens in the first place. Simple but effective, the best way to prevent accidents is through increased visibility. For this, the 2019 Equinox offers Intellibeam headlamps which will automatically turn on and off high beams depending on the conditions so that you never have to worry about them yourself or accidentally start burning the eyes of the person in front of you. There are also a lot of new advanced active technology that is sensor based and can allow you to be alerted if anything is happening in the front, sides, or rear of the vehicle. For example, lane keep assist and lane departure assist will let you know if you are good to move to the next lane or not, forward collision alert will tell you if you are getting too close to the car ahead, and rear cross traffic alert will make backing into traffic no longer an issue by letting you know when something is about to pass. Connectivity within vehicles is also becoming more advanced than we could have ever dreamed of before. The 2019 Chevy Equinox has Chevy’s signature infotainment system that uses Bluetooth technology to link the system directly to your smartphone. Apple CarPlay and Android Auto are both integrated into the Equinoxes infotainment system in order to allow you to do a number of useful things while on the road. You can make and receive texts or calls through voice-activated commands without looking away from the road, you can listen to your personal playlist instead of whatever happens to be on the radio, or you can even you can pull up apps like maps in order to help you out and keep yourself entertained. You can also have up to six USB ports within the cabin of the 2019 Equinox so that keeping your phone charged is never an issue. Technology is truly an amazing thing when used to benefit the safety and convenience of humanity. That is why the 2019 Chevy Equinox is a vehicle that prides itself on understanding the correct way to implement all the technology the automotive world has to offer. Getting from point A to point B is the entire point of owning a personal vehicle. Those long commutes to work and back, those memory-filled day trip to the beach with the family and those beautiful and adventurous weekends away with a loved one all require a reliable means of transportation that you can depend on. The 2019 Chevy Equinox offers three engine options that are sure to satisfy your desire for a performance-ready vehicle. The standard engine you will receive is a 1.5L turbo 4-cylinder engine that produces 170 hp and 203 lb-ft of torque and is paired with a 6-speed automatic transmission. The advanced engine is a 2.0L turbo 4-cylinder engine that delivers a feisty 252 hp and 260 lb-ft of torque and pairs with a 9-speed automatic transmission for effortless handling. Finally, the alternative engine option is a surprising 1.6L Turbo-Diesel 4-cylinder engine that produces 137 hp and 240 lb-ft of torque and is paired with a 6-speed auto transmission. Diesel engines are becoming a fairly commonplace in the Chevy lineup due to their ability to go farther, longer. The diesel option for the 2019 Equinox offers 39 mpg with a 592-mile range. This will keep your Equinox on the road longer, keep the environment healthier, and keep your wallet larger. You will find that the starting cost is more pricey for a diesel, but over time you will save more money than you spent making it worth the investment. Furthermore, on the LS, LT, and Premier trim levels of the 2019 Equinox, you will be able to invest in a switchable all-wheel drive option that enhances your traction and helps you take on difficult terrains such as snow and mud. If that doesn’t interest you though you can always get the cheaper and more fuel efficient FWD model. The 2019 Chevy Equinox offers a design that is sleek and modern in a way that everyone can admire. The focal point of the design is the front grille and sharp LED headlights that come together in a beautifully cohesive piece. In a way it reminds you of an elegant bird spreading its wings and gliding through the open air. The body as a whole is sculpted to be aerodynamic for an SUV, and the light touches of sharpness in the lights and rear window really create a striking presentation for the 2019 Equinox. If you are looking for something a bit more unique when it comes to design, you will need to take note of the Redline Edition. The Equinox Redline darkens the tone of the whole exterior in order to increase the overall refinement, athleticism, and boldness of the design. The grille, window trim, mirror caps, and bowtie emblem will all get a black-color touchup. Additionally, the wheels for this edition will now be 19-inches. Inside you will find ample space for every member of the family and their baggage. The 2019 Equinox can accommodate up to five passengers, two separate front seats and a 60/40 split rear bench, which is perfect for a happy family of four. As for the cargo space, you can’t forget that this is an SUV we are talking about, so of course, it will offer plenty of utility. With all seating down, you will gain a generous 63.5 cubic feet of cargo space to use however you want. Not everyone can live off of just a toothbrush and an extra pair of pants, so the 2019 Equinox will allow you plenty of room to pack all the essentials. Additionally, there is also a programmable liftgate available that will allow you to open your trunk with just the kick of a foot so that you don’t have to worry about keeping your hands-free. Clearly, there is a lot to brag about when it comes to the design of the 2019 Chevy Equinox, but just imagine what kind of praise can be said for what can’t be seen? Chevy is known for their everyday versatility and producing a lineup that offers an automotive for every type of driver. 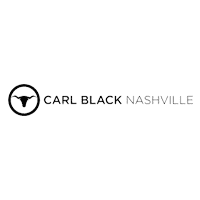 At Carl Black of Nashville, we too enjoy matching every driver with their ideal vehicle through an individualized service strategy. What this means is that we will listen to your direct needs before we start anything in order to provide you with the most efficient and personalized buying experience possible. No two people are exactly the same, and so no two services should be the same. You will get what you want out of us, and we will get what you want. We at Carl Black Nashville are ready to give you an experience that is all about you and your needs, but no need to take our word for it, just come in and see for yourself what wonderful opportunities await.